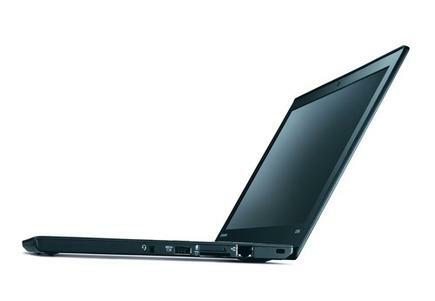 Buyers looking to purchase Lenovo's latest ThinkPad X240 laptop with a touchscreen will have to wait until December. The company had said in September that laptops scheduled for release this month would include a touchscreen model. The X240 with Windows 8.1 and Intel's fourth-generation Core processor code-named Haswell went on sale last week with a starting price of US$1,049. It has a 12.5-inch screen sporting a resolution of 1366 x 768 pixels. An X240 configuration with a touchscreen and a full high-definition resolution of 1920 x 1080 pixels will be available in December, a Lenovo representative said in response to customer queries in the "Answers" section of the X240 page. Lenovo did not respond to requests for comment about the delay of touchscreen models. Sometimes PCs are configured to hit a specific starting price and computer makers have to compromise on components like screens and memory capacity, said Roger Kay, president and principal analyst at Endpoint Technology Associates. It's hard to know why the touchscreen has been delayed, but if Lenovo's X240 specifications aren't competitive, buyers will look at laptops from other companies, Kay said. The delay comes a few weeks ahead of the year-end holiday shopping season in the U.S., which is when buyers seek deals, Kay said. "Obviously, it is not good. This is the season where you want to have the product on your shelf," Kay said.